/ Modified aug 4, 2012 6:36 a.m. The Arizona Commerce Authority has helped nearly 50 businesses bring new jobs to the state or expand their workforces in the last 13 months, Gov. Jan Brewer's office says. The number of jobs added as a result of Commerce Authority efforts is 6,751 from the time the authority was formed in July 2011 through this week, according to data provided by Brewer's office. Those businesses also had capital investments of $449.9 million, the data showed. 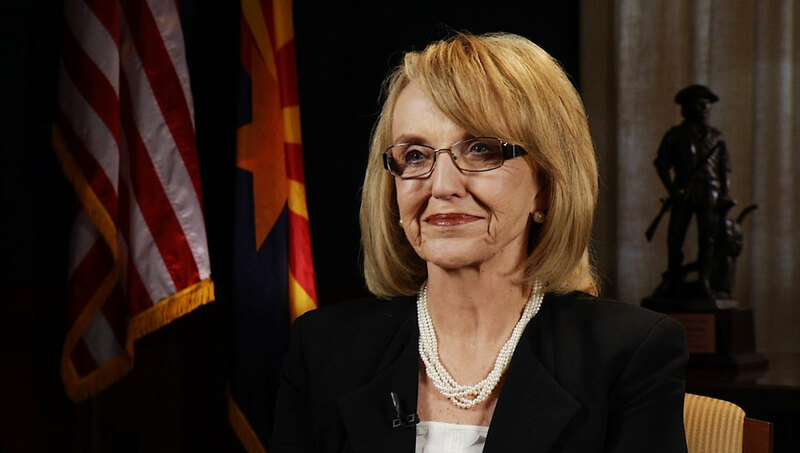 The list of businesses and total number of jobs was given to Arizona Public Media after an interview with the governor in which she credited the Commerce Authority, a public-private entity that she championed and that she chairs, with growing and diversifying the state's economy. "I think we have been very successful with what we have been able to do here in Arizona," Brewer said in an interview for Friday's Arizona Week broadcast. "Our unemployment rate is down 3 percent since 2010. We have worked very hard to get new jobs established here in Arizona. "I came forward and did tax reform, and that encouraged people to come here and invest and create and bring new jobs." Brewer acknowledged that while the economy is growing, the state's unemployment rate has stagnated -- 8.2 percent in April, May and June -- and the housing industry is still recovering. "We know that for years that Arizona was building its economy on red-tile roofs, and we overbuilt," Brewer said. "It came at a bad time. The recession, if you will, just kind of blew everything apart." The governor said high-quality jobs are the most desired for the state, but that in continuing economic difficulties, people want any kind of employment. "A job is a job," she said when asked about her attendance at the groundbreaking for a Tucson call center that pays less than the state's median income. "Everybody is looking at a different level for a position. When they have a huge call center, they employ a lot of people." -- She supports education but will vote against making permanent the one-cent sales tax for education. "It's a boondoggle," she said, because it is permanent and restricts how the Legislature can handle funding for schools. -- She won't decide until November whether Arizona should take extended Medicaid funding under the federal Affordable Care Act. Brewer said she has convened a roundtable of representatives from the health care and insurance industries and the general public to help her decide. -- She and the Legislature get credit for having "saved the state" from the brink of fiscal disaster with the budget cuts made in the last several years. "We have $450 million in a rainy-day fund and $380 million in a carry-forward fund" for this fiscal year as a result, Brewer said.